We directly compared the spatial extents of stimulated activations and the profiles of inter-voxel resting-state correlations between high resolution BOLD data at 9.4T and local field potentials (LFPs) using 98-channel microelectrode arrays, in functionally distinct somatosensory areas 3b and 1 in monkeys. We found the point spread functions of BOLD and LFP responses were comparable (~1mm) in the stimulus condition, and were more spatially constrained than correlations at rest. Our results showed spatial agreement of resting-state functional connectivity between BOLD and LFP and demonstrated that BOLD responses were as focal as underlying electrical activity. Functional Magnetic Resonance Spectroscopy (fMRS) could potentially provide much information on neurotransmitters, and hence, could shed light into excitation / inhibition imbalances. However, it was scarcely used, in particular in rodents, presumably due to low SNR. Here, we used a cryoprobe at 9.4T to record fMRS spectra in the rat in just a few minutes. SNR>50 was documented for the N-acetylaspartate resonance. We show statistically significant increases in Glutamate and decrease in GABA upon forepaw stimulation. 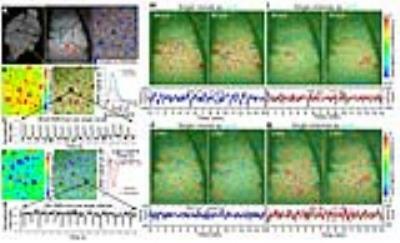 Our results are suggestive of differential relaxation between vesicular and synaptic neurotransmitter pools, and are promising for more detailed investigations, e.g., using optogenetics. Negative BOLD responses (NBRs) have been associated with changes in neuronal activity, but are challenging to detect due to a lower contrast-to-noise ratio compared to positive BOLD responses (PBRs). 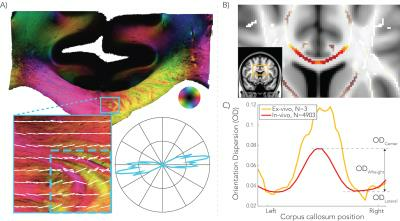 In this work, the high sensitivity available at 7T was explored with accelerated fMRI acquisition, vein segmentation and ICA denoising techniques, to map PBRs and NBRs to visual stimulation in various brain regions beyond the visual cortex. Multiple regions with significant PBRs and NBRs could be detected, and their dependence on stimulus duration was found to differ significantly across regions, suggesting the presence of dynamic, stimulus-dependent interactions across the brain. We have previously shown that hemodynamic signals can be directly detected from individual arterioles and venules penetrating the cortex. Here, the temporal correlation patterns of the vessel-specific hemodynamic signal are characterized in both rodent and human brains. At the resting state, the blood-oxygen-level-dependent (BOLD) signal from venules and the cerebral blood volume (CBV) signal from arterioles show large-scale vessel-specific correlation patterns in rats under anesthesia. Similarly, in awake human subjects, the BOLD hemodynamic signal correlated at the sulcus veins (3T), as well as at a few intra-cortical veins detected at 9.4T, showing vessel-specific activity and connectivity patterns with slow-frequency oscillation up to 0.1Hz. The structural nature of BOLD and CBV fluctuations during resting-state remains unclear. To address this, we first developed a simultaneous multi-slice VASO-BOLD EPI sequence at 3T and isolated resting-state VASO- and BOLD- based networks. We then performed ToF and SWI to quantify the arterial and venous contributions in each network. Overall, both BOLD and VASO showed similar networks which were spatially localized near large veins. Also, similar proportions of vasculature were observed throughout all networks. These results suggest that simultaneous BOLD-CBV acquisitions are feasible at 3T and that their resting state networks are spatially and structurally similar. Neural activity leads to cellular swelling along with the hemodynamic response from the vasculature. The latter process is the basis for the BOLD signal detected with fMRI; the former may underlie the changes observed with diffusion-weighted fMRI. Optical intrinsic signals can detect neuro-vascular activity (typically observed in in vivo studies of reflectance) and neuro-cellular swelling (observed mostly by transmittance in brain slices). We designed a novel miniature probe for in vivo transmittance studies in the rat brain and examined neuro-cellular coupling and neuro-vascular coupling in vivo to better understand the basis of the MRI techniques. The corpus callosum (CC) is the major pathway for interhemispheric communication and a primary target of white-matter neurodegenerative diseases. 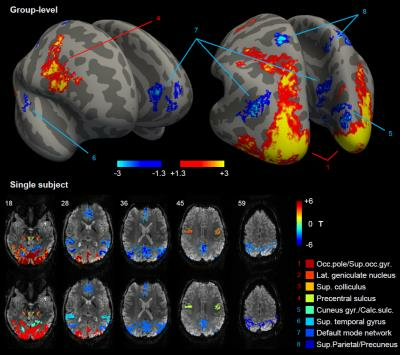 Diffusion MRI is widely used to assess white-matter structural alternations in diseases. In addition to morphological changes, we previously demonstrated the feasibility to assess white matter function using diffusion MRI. 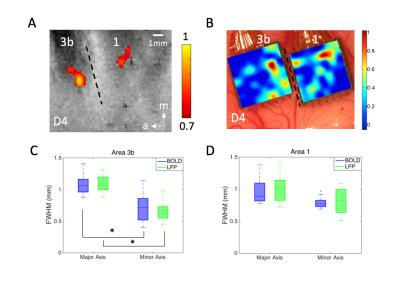 We observed a 27% perpendicular apparent diffusion coefficient (ADC⊥) decrease in normal mouse optic nerve during visual stimulation. 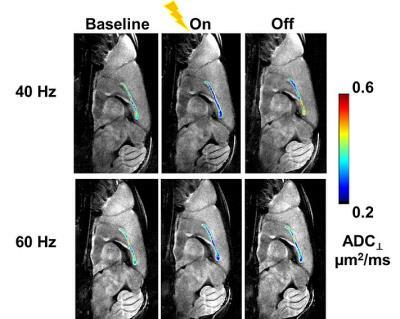 In the current study, we implanted MR-compatible tungsten wires at primary somatosensory cortex and observed 15 – 21% ADC⊥ decrease in CC, suggesting diffusion MRI can be applied to study function at this site. 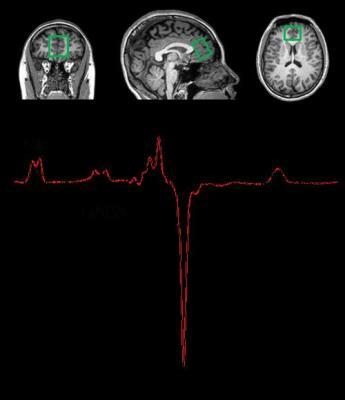 Diffusion fMRI (DfMRI) allows to monitor brain function without BOLD vascular confounding effects. 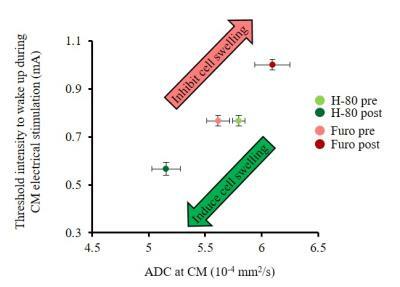 Infusion in the rat brain thalamus central median nucleus (CM) of a cell swelling inducer/blocker resulted in ADC changes confirming DfMRI sensitivity to local cell size status. ADC changes closely reflected local functional neuronal status, as evidenced from LFP recordings and electrical current thresholds required to wake-up the animals. They were also observed in remote locations connected with CM. Those results support that neural swelling is an important mechanism underlying DfMRI, and that cell size variations in neuronal networks are an important feature associated with their activity. This study investigated the neurological mechanism that mediates the deactivation of the medial prefrontal cortex induced by acupuncture. Gamma-aminobutyric acid (GABA) concentrations before and immediately after acupuncture stimulation in healthy volunteers were assessed with MEGA-PRESS 1H-MRS. We found that GABA concentrations in the medial prefrontal cortex decreased significantly after acupuncture stimulation compared with control stimulation with Von Frey sensory. 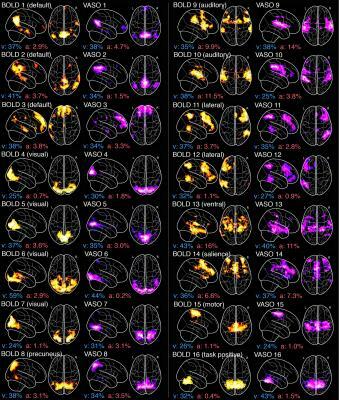 Analysis of the task-functional magnetic resonance image (fMRI) acquired during acupuncture showed deactivation in the same area. These results demonstrated that the decreased blood oxygenation level dependent (BOLD) response induced by acupuncture was associated with inhibitory effects.